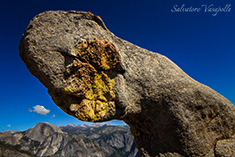 Salvatore offers two workshops of Yosemite National Park. 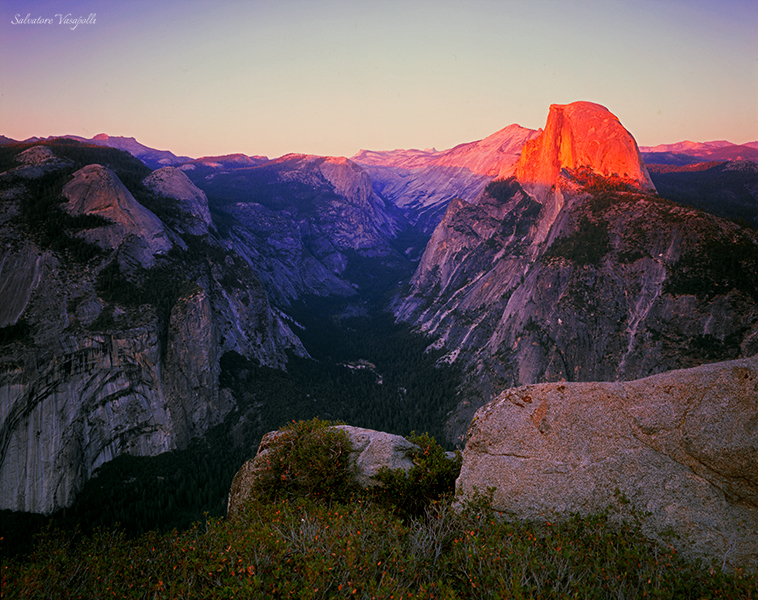 Yosemite "Valley Light" focuses on the quality of canyon light within or along the rim of Yosemite Valley and light on your back and feet. 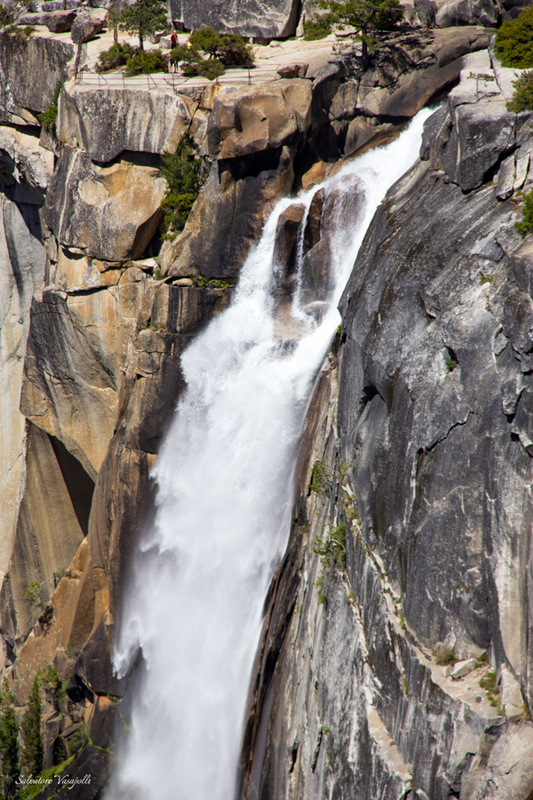 Here the massive walls and waterfalls, wildlife and flora found within it create breath taking images. The majority of the walks make for an easy laid back workshop as they are short. When in service, we use the park's very efficient transportation system to get us to our locations, otherwise we drive to our early morning or evening shoot. 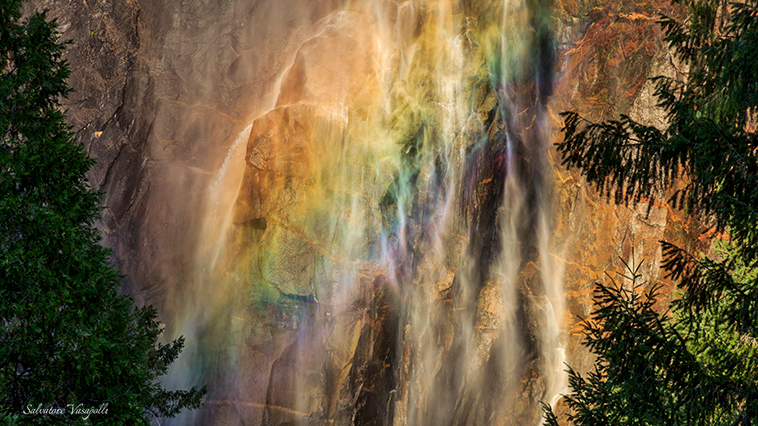 Yosemite "Waterfalls Spectacular" workshop features Yosemite's best waterfalls and overlooks. We visit all the easy road pull-outs and overlooks of the "Light" workshop but is for those who are fit enough to travel up the steep trails for a different aspect of the falls capture features few other workshops travel. Still this is not a race and we take time to do what we do- photograph! 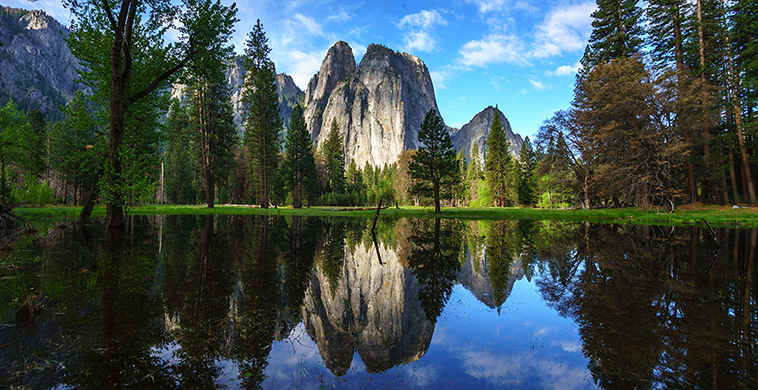 Which ever workshop suits your likes, you will walk in the footsteps of Ansel Adams Yosemite Valley is one the world's most famous landmarks with it's 3,000 foot cliffs of El Capitan and towering domes. 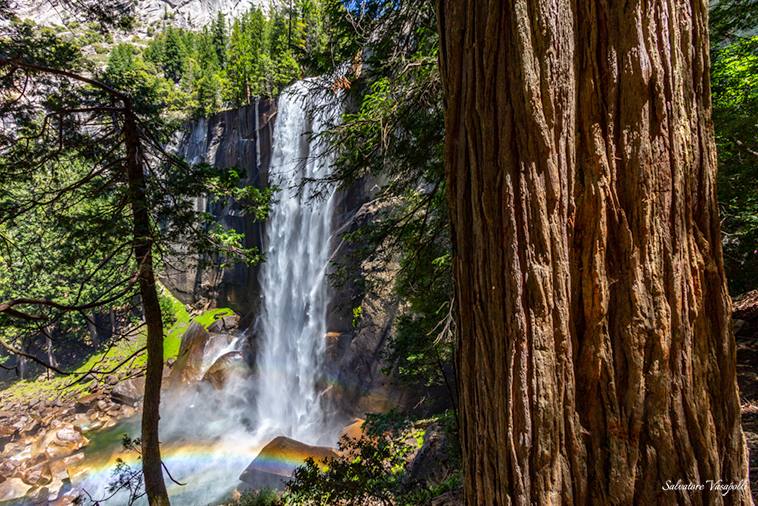 Now is the best time of the summer season when waterfalls are in their most splendid display including 2,425 foot Yosemite Falls as we hike it bottom to top as an all day hike! We will visit all the vistas and falls at the right photographic moment. 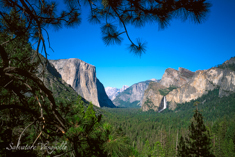 Another full day of hiking awaits us as we hike to the base of Half Dome passing through magnificent gorges, falls, pools, forests and enter Little Yosemite Valley. You will be humbled on a walk amongst giants in a cathedral world the largest living trees- the giant Sequoia! 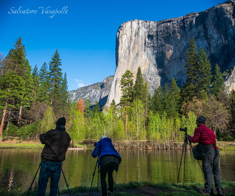 ¹ Photo Safari Lodging available for this trip for additional cost. Call for details!